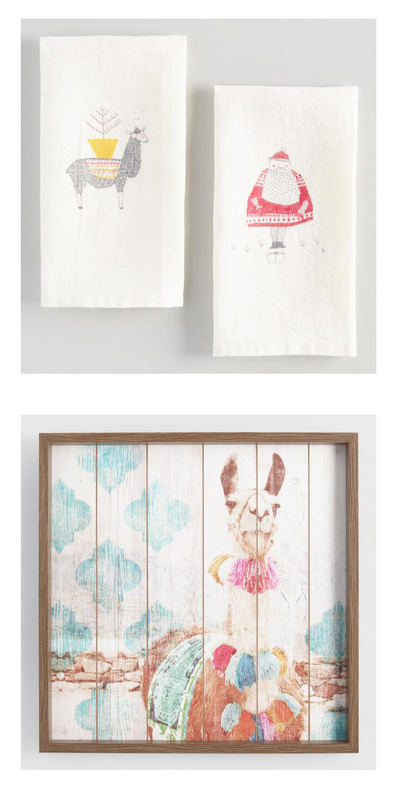 This post is brought to you by Cost Plus World Market. All thoughts and opinions are my own. 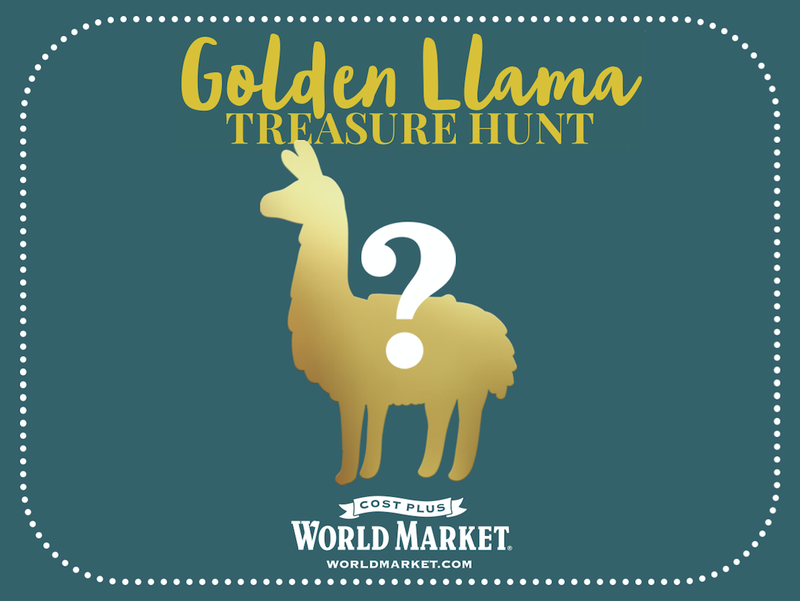 Today I’m helping Cost Plus World Market announce their Golden Llama Scavenger Hunt! If you’ve got a spot in your heart for llamas, (or even just for the yummy food selection and global decor items they have in-store,) you will love this post! You have to play at your local store, so if you’re near Vancouver, WA we may run into each other! Watch this video to get excited, and read up on all the official rules. Find​ ​a​ ​Golden​ ​Llama​ ​and​ ​receive​ ​a​ ​coupon​ ​valued​ ​at​ ​$20,​ ​$50​ ​or​ ​$100! Over​ ​$1​ ​Million​ ​in​ ​Total​ ​Rewards! 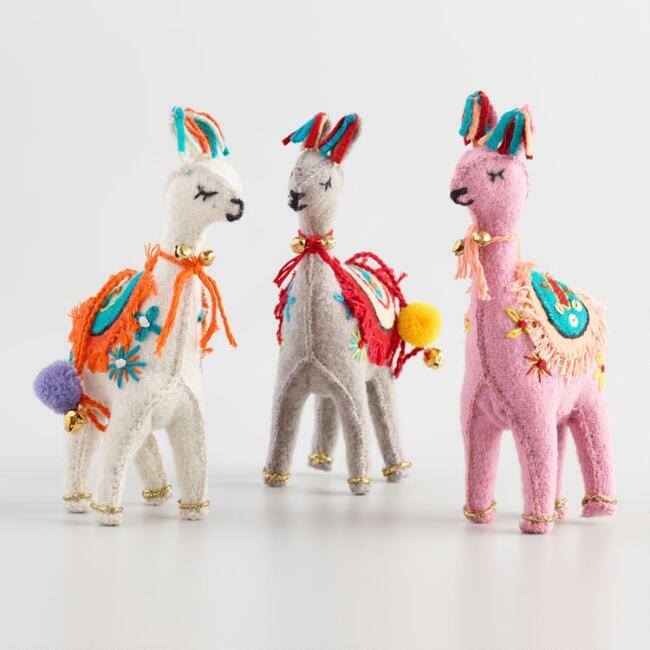 ● Every​ ​day​ ​beginning​ ​Wednesday,​ ​November​ ​1st​ ​through​ ​Wednesday,​ ​November 22nd,​ ​your​ ​local​ ​Cost​ ​Plus​ ​World​ ​Market​ ​store​ ​will​ ​hide​ ​5​ ​Golden​ ​Llama​ ​pieces throughout​ ​the​ ​store. ● Each​ ​day,​ ​we’ll​ ​share​ ​the​ ​daily​ ​clue​ ​in-store,​ ​via​ ​email​ ​and​ ​on​ ​our​ ​social​ ​media channels.​ ​Use​ ​the​ ​clue​ ​to​ ​help​ ​you​ ​find​ ​a​ ​Golden​ ​Llama​ ​and​ ​you​ ​could​ ​receive​ ​a reward. 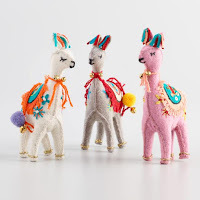 ● Locate​ ​(1)​ ​Golden​ ​Llama​ ​piece​ ​and​ ​bring​ ​it​ ​to​ ​the​ ​nearest​ ​store​ ​associate​ ​to exchange​ ​for​ ​a​ ​reward​ ​coupon​ ​valued​ ​at​ ​$20,​ ​$50​ ​or​ ​$100.​ ​Reward​ ​is​ ​valid​ ​only​ ​on the​ ​day​ ​it​ ​is​ ​awarded. 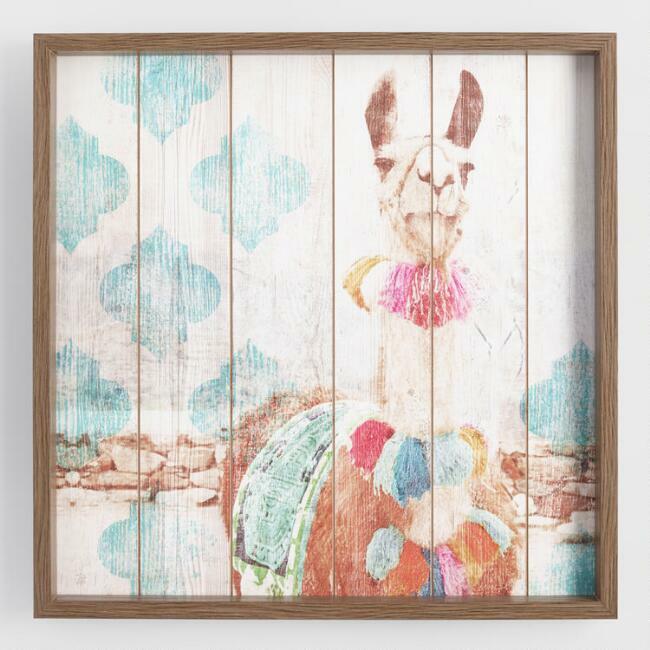 I’ve been looking through the llama items available right now at Cost Plus World Market and I’m dreaming up a Holiday Llama Makeover in our guest bathroom. Wouldn’t that be cute? 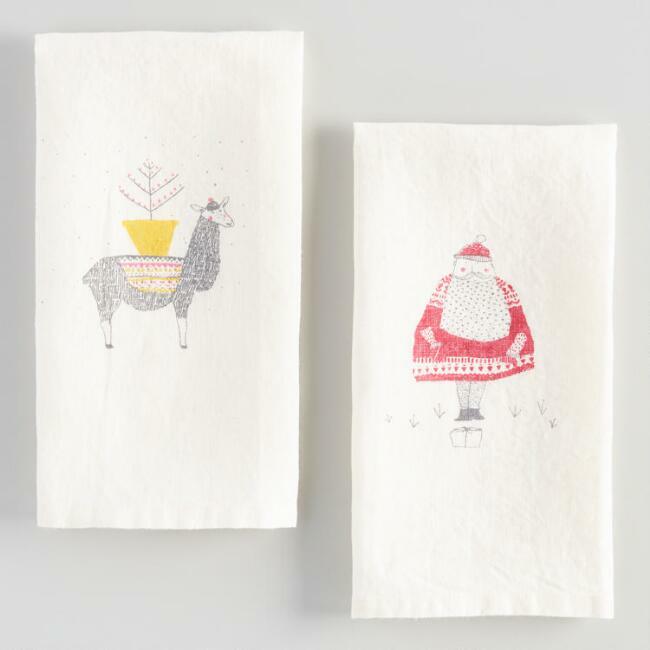 I’ll use these Santa and Llama towels and then hang this amazing Llama art on the wall. I’ll even string some felt ball garland across the top of the frame to make it even more festive! 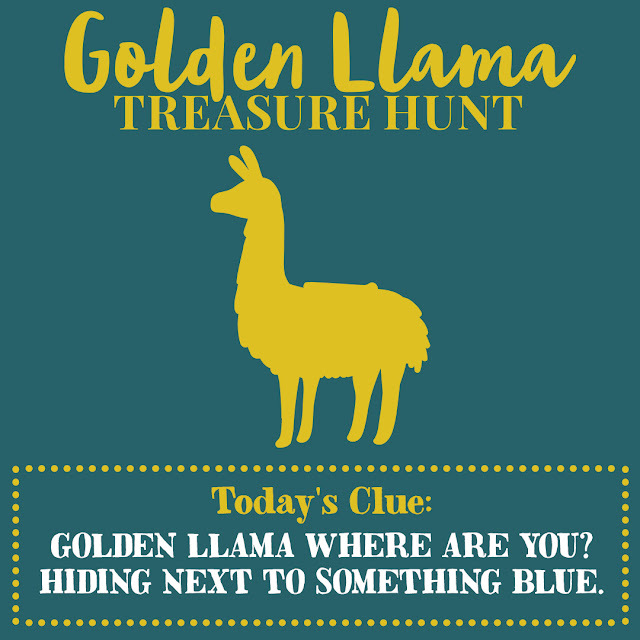 So don’t forget to watch my Facebook page for the daily clues, then stop by your store to participate in the hunt. This is today’s clue to get you started. GOLDEN​ ​LLAMA​ ​WHERE​ ​ARE​ ​YOU? Let me know if you win one of the rewards! 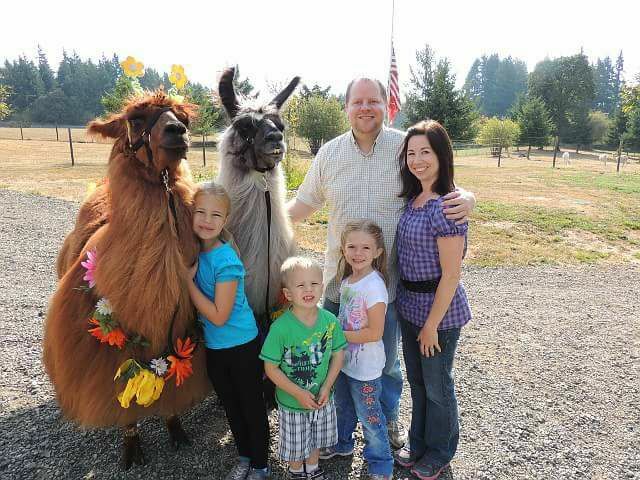 Do you have any fun llama stories? I’d love to hear! 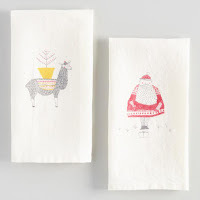 Llama ornaments –How could I use these in the bathroom somehow?